As some of you know, I primarily write in the winter. A town for the seventh book in the series has not yet been chosen, but it may be in New London where the waters of the Shetucket after joining the Quinebaug and Yantic to become the Thames in Norwich, empty into the Long Island Sound. 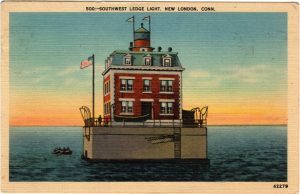 A paramour, a maddening fog horn, a haunted lighthouse… the story unfolds.